Only a few minutes walk from both the Bay and Bloor-Yonge Subway Stations! Selected brands we know you’ll love! Mykita is an eyewear manufacturer based in Berlin, Germany known internationally for its hand-assembled prescription frames and sunglasses. The name MYKITA is derived from ”Kita” (a common abbreviation for Kindertagesstätte) and is a reference to the firm’s first premises in a former day nursery. NOw MYKITA’s eyewear collections are available at the firm’s own shops in Berlin, Paris, New York, Monterrey, Cartagena, Zurich, Vienna and Tokyo as well as at selected opticians and fashion outlets in over 70 countries. Throughout our entire process, every part of our frame undergoes rigorous quality control. After the frame is finally assembled we check it again. We check for all irregularities during our process, and every part of a frame is subject to scrutiny. While we love our state-of-the-art computer-driven machines and their mechanical perception, it’s still the five senses of a valued Andy Wolf employee that would notice any flaws. After we’ve inspected every frame as often as possible, they leave our factory and are off to finally be worn by you. Salt. Optics is an independent frame manufacturer, started in 2006 with the ideology that consumers deserve more than mass-produced, over-manufactured eyewear. Salt. is set apart by handmade, high-quality products that are timeless and simple – not subject to fleeting fashion trends. Salt. eyeglasses and sunglasses focus on beautiful, simple, classic designs and a perfect fit. They strive to make a connection with consumers by crafting meaning based on quality and back to roots innovation. Striving to bring back the fundamentals to eyewear, Salt. creates a seamless balance of fit, feel, contouring and comfort in each and every frame. Frames are peculiar objects: they are fashion accessories, enhancement devices for aesthetics, yet they are medical devices, precision tools to overcome poor eyesight. Some might argue that spectacles are an extension of someone’s closet; for us, it’s about individuality. We don’t let fashion trends rule our style, but we are aware that frames are tools for expression. In the pursuit of the “unique”, we define style with our own point of view. Nowadays most things are disposable, temporary. Consumerist society has changed behavioural patterns: objects are design to sell, not to last. 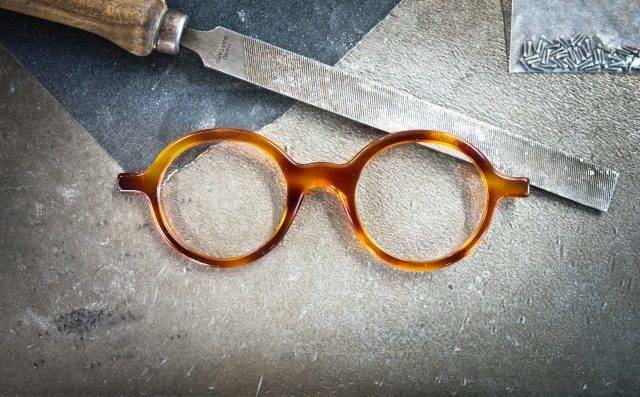 We want to make frames that survive in time and age gracefully. Objects often symbolise something more than their intrinsic nature, and this is often preserved over the years. Through personal association objects gain subjective meaning based on the memories that we have of them. It’s about research for perfection. We believe on incremental development; we question constantly our work, both aesthetically and functionally. We focus on the little details that, at the end of the day, make the difference between ‘the good’ and ‘the exceptional’. MOSCOT is a New York City Institution renowned worldwide for its iconic eyewear — The MOSCOT Originals and MOSCOT Spirit Collections. MOSCOT infuses its unmistakably refined, downtown aesthetic with over 100 years of eyewear expertise and unparalleled craftsmanship to create its timeless eyewear. While now recognized as a global fashion brand, MOSCOT remains, at heart, a neighborhood optical shop.